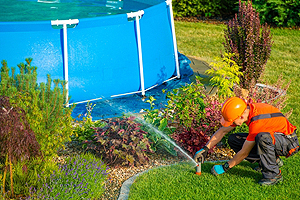 Commercial Irrigation & Repair offers lawn sprinkler repair Champaign IL homeowners trust with their systems. Since we are the leading irrigation providers in Central Illinois, our highly-trained technicians can help. In fact, they contain the knowledge to work on systems other companies installed as well as our own. Count on our track record of excellence established over the past 30 years to fix any issues fast. Because you want to avoid any overwatering or dead spots, rely on Commercial Irrigation & Turf to get results. Call us today at 217-398-1494 or contact us online to get your lawn sprinkler system working again. Since it is hard to diagnose problems with your irrigation system by yourself, rely on Commercial Irrigation & Turf. We provide quick lawn sprinkler repair Champaign IL customers can afford. A lot can go wrong. Therefore, let our specialists determine whether you need sprinkler head replacement, valve repair or replacement or something else. In fact, they commonly perform pump repair, rain sensor testing and repair, trenchless technology repair and leak repair. 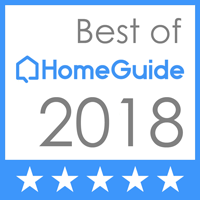 So, count on us for quality repair through the use of our specialty tools and techniques. Commercial Irrigation & Turf knows lawn sprinklers, whether you need installation, maintenance or repair. We deliver the lawn sprinkler repair Champaign IL residents trust for quality service at reasonable rates. In order to get pricing for your lawn sprinkler repair, call 217-398-1494 or contact us online. Accordingly, we also invite you to stop by our office at 206 N Randolph in Champaign. 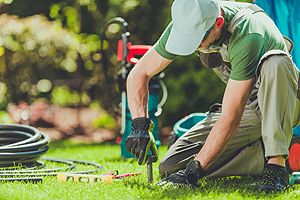 Are you searching for lawn sprinkler repair outside of Champaign? Do not hesitate to call. We routinely service clients throughout Central Illinois, including customers in Bloomington, Galesburg, Springfield, Pekin and Peoria.